The newly developed nursery offers increased plant material availability to Gosha Greens’ customers. 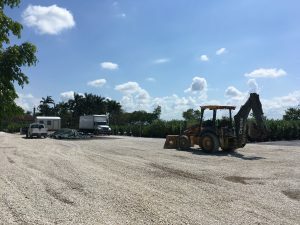 HOMESTEAD, FL (MARCH 22, 2019) — Gosha Greens, which delivers top-quality, wholesale plants and trees to landscapers, garden centers, and retailers across Florida, has officially opened the gates to its new nursery today. The 1.3 acres of land is located at 24799 SW 217th Avenue, Homestead, FL 33031 – on the corner of 217th Avenue and 248th Street. The idea to purchase and develop the property into a nursery came from Gosha Greens’ owner, Kevin Kalantari, who saw a growing need among his customers. 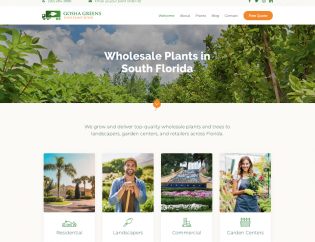 Although Gosha Greens includes delivery with every order, the nursery provides the option for customers to pick up their own plant orders in one location. This will save customers time and money without the hassle of driving to multiple nurseries and aggregating their material on their own. Gosha Greens has already stocked the nursery with the high-demand plants which include clusia, green island, and seagrape plants. The nursery features a sophisticated irrigation system with sprinklers and ground covering to protect the inventory from any weeds. There is also enough land to park and store Gosha Greens’ trucks and equipment. 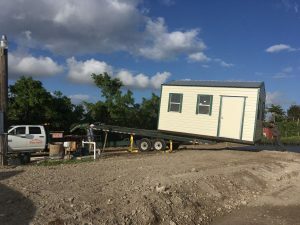 Another convenient feature of the nursery is the installation of a mobile office which will provide an official brick and mortar structure in which to conduct business. Pea gravel paves the way from the entrance gate, to the mobile office, and in between the rows of plants. Once the outdoor signage has been printed and installed, Gosha Greens plans to host a grand opening celebration event at the nursery. Visit http://www.goshagreens.com/blog/ for more information about Gosha Greens’ new nursery. 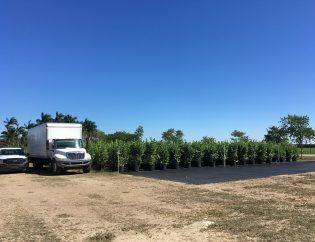 Since 2013, Gosha Greens has been delivering the finest, top-quality, wholesale tropical plants and trees to landscapers, garden centers, and retailers across South Florida. Owner and head plant buyer, Kevin Kalantari, has procured and delivered over 5,000 tropical plants and trees to more than 500 happy customers. For more information, visit Gosha Green’s website at http://www.goshagreens.com/. © 2018 Gosha Greens. All Rights Reserved.